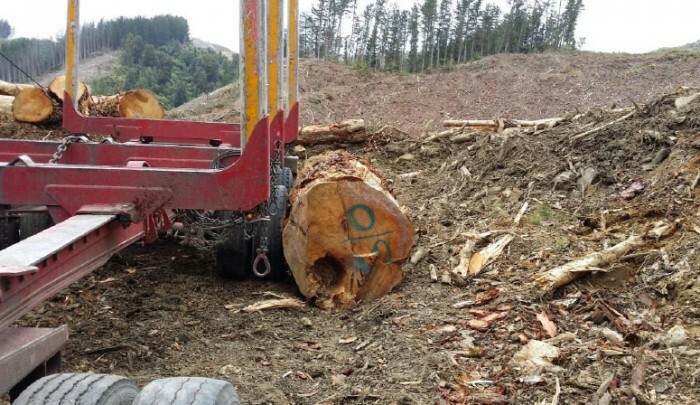 Recent incidents involving logs placed or stacked PARALLEL to load out areas have caused harm or could have caused harm in FOUR separate but unrelated events. The common thread in all four incidents was poor log placement. In all cases the intention was temporary storage, however the risk and potential hazards created were not adequately controlled. Logs stacked parallel to load out area. This was the last part of the salvage area and the processing and storage area was constrained for space. An oversize log rolled down from an embankment (where it has been sitting for approx 2 weeks)and struck a driver who was in the process of setting up his trailer prior to loading. The log knocked him forward against the trailer causing concussion, broken ribs. A log rolled off a stack and hit the front wheel of the log truck while being loaded from the opposite side. 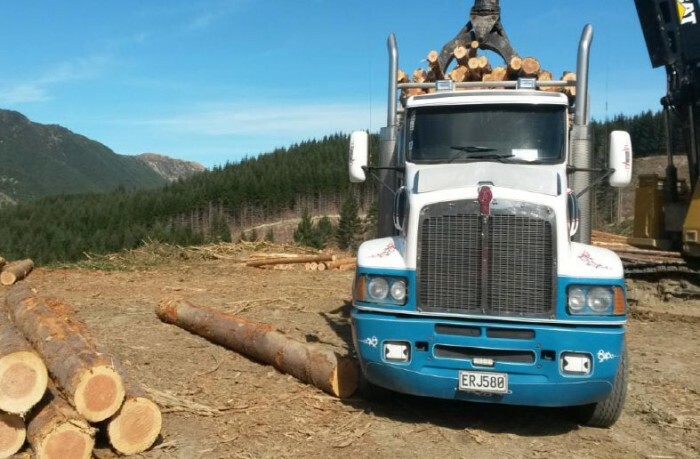 Stock was high, the skid tight and the logs were stacked high and parallel to load out. The driver was standing in the safe zone and there was no risk of injury to him. However, in different circumstances a parallel stack arrangement has potential for injury. This could include the situation where a driver is getting in/out of the cab, checking scales or throwing chains. 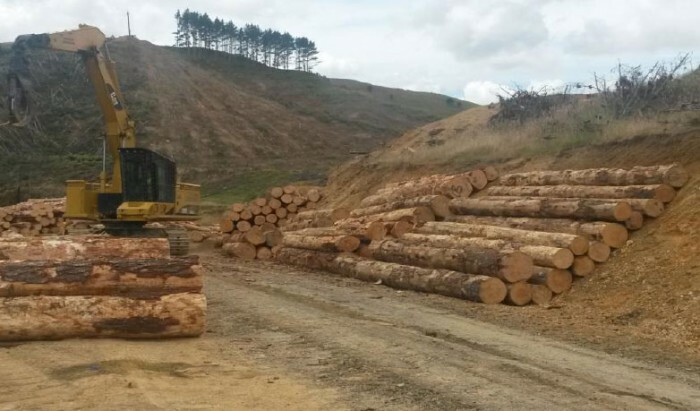 A log surge pile had been created parallel to the stub road. The logs had been in this roadside position for approximately 30 minutes before the accident. While the driver was checking the scales 2 of the 5 logs rolled down the bank, pinning him by his left leg/foot. The contact resulted in a fracture of his left ankle and 42 days off work. Prevention – What can we learn from these events? Machine Operators – Stack or place logs perpendicular (at right angles) to load out. Logs stacked or placed parallel to load out / ground worker areas must be avoided, even for short periods. If this cannot be achieved, THE HAZARD CREATED MUST BE CONTROLLED (ie: stabilised with pegs or behind a soil bund). Truck Drivers – when selecting a safe position to stand to observe loading (outside the loading zone), always assess this position for other hazards. Important: The goal of Safety Alerts is not to apportion blame – it’s to make sure we learn from incidents. If this type of event could impact safety in your operation, discuss and put in place appropriate measures to prevent future harm.